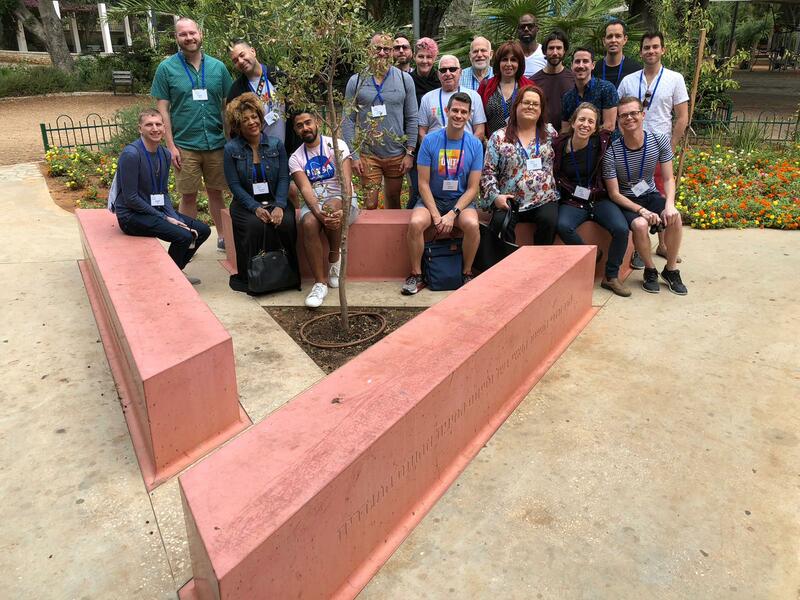 A Wider Bridge’s 10th LGBTQ Leadership Mission to Israel has begun! 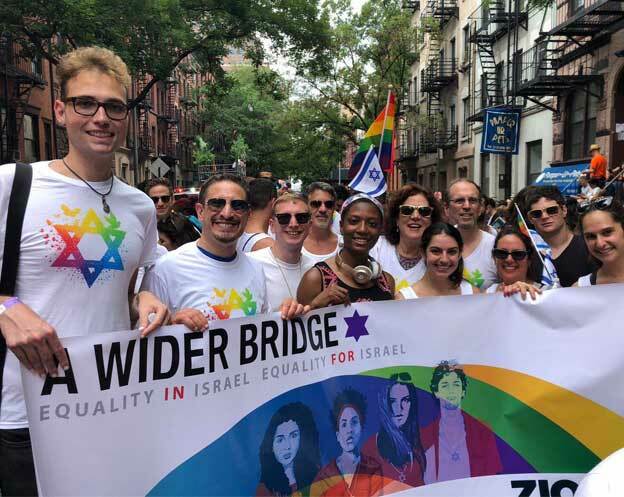 Twenty LGBTQ community leaders and personalities join A Wider Bridge staff on a 10-day mission to Israel to experience the country through an LGBTQ lens. On this first day, we visited the memorial to the members of the LGBTQ community who were persecuted and murdered in the Holocaust. A day earlier, “Death to LGBT” graffiti was sprayed on the structure. 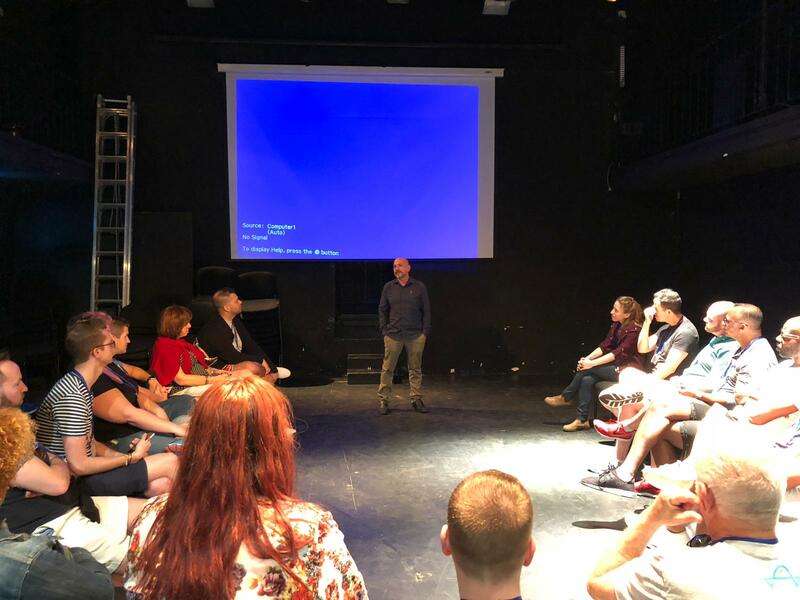 Elisha Alexander, CEO of Ma’avarim, the Transgender Community Organization (an A Wider Bridge grantee) spoke about his organization and trans rights in Israel. 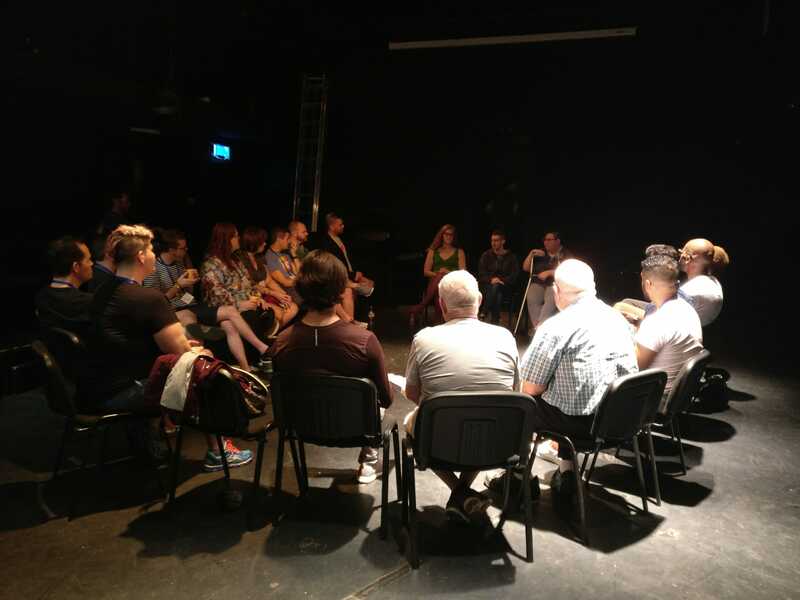 The LGBTQ Leadership Mission has started in Tel Aviv. After, we’ll head to Israel’s south and visit the Negev and the city of Be’er Sheva, a first for A Wider Bridge. We will be exposed to the complexity of the region, including observing the Gaza Strip and hearing about the roots of the Israeli-Palestinian conflict. In Be’er Sheva we’ll visit the region’s only gay bar and will meet LGBTQ activists living in Israel’s periphery. From there, we’ll travel to Jerusalem and tour the Knesset, Israel’s captiol building, meeting representatives of Israel’s government. We’ll visit the West Bank where they will meet with Shorashim, a local network of Palestinians and Israelis who have come to see each other as the partners we both need. From there, they’ll head back to Jerusalem to visit Yad v’Shem, Israel’s national Holocaust memorial. Our guide through the museum is an expert in the LGBT experience during the War.